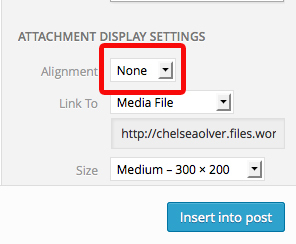 This article is going to teach you the best ways to align your photos in WordPress. 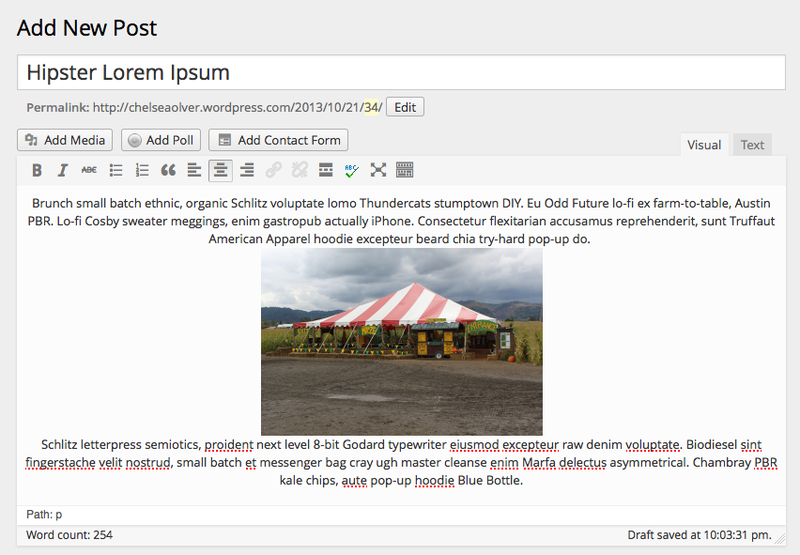 You want to start by writing your article first. A lot of people think that it is better to have the images in first and then add the text around it, but that is actually not the best way. It is much harder to get around the images in the way you like if you do it that way. Lets start by putting our first image in our article with a left alignment. You are going to want your cursor exactly where you want your image. Once you have it there you are going to click the add media button located under your “Add New Post” title. Then you are going to select the image you want. 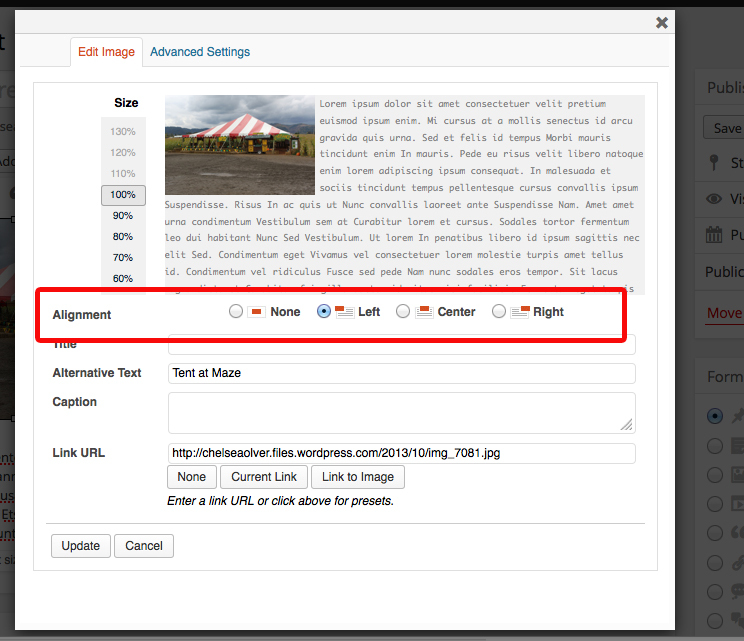 You will notice in the right side bar under attachment details there is an alignment option. In the pull down menu there are left, right and center options. 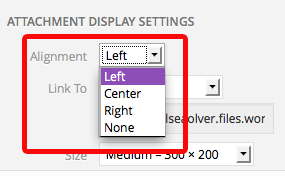 If you decide that the picture would look better with a right alignment you do not need to delete it and go through the process again, you simply need to move your mouse over the image and choose the “little picture” option in the right hand corner. 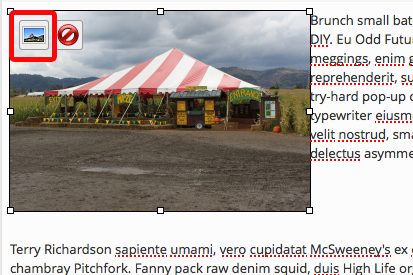 That will bring up an edit image window. Here you can change the alignment of the image from left to right or center. Simply change the alignment from left to center or right. Aligning images is so quick and easy this way that even if you are not super comfortable with coding you can still use this. 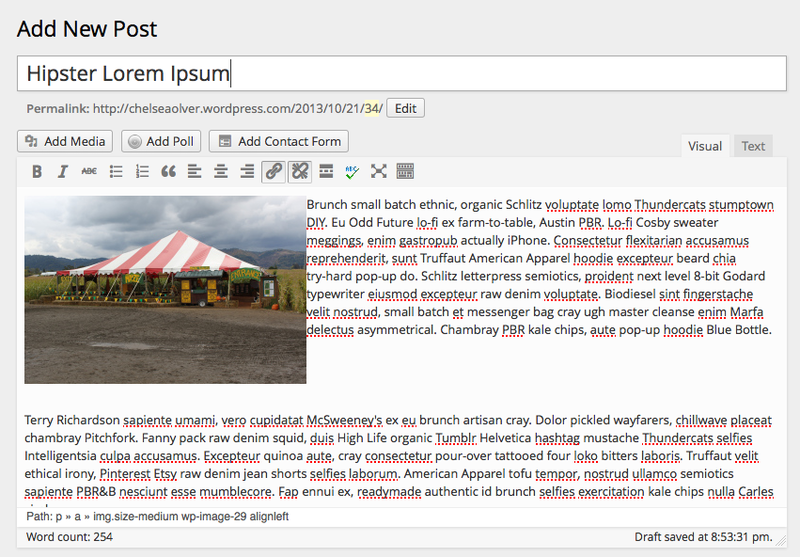 That is how you align images in a WordPress post. Don’t be afraid to play around with where you place the images, as long as the text is already in the post making it look how you want it to will be no problem at all. You can place the images first, it just makes it much harder to edit so give it a try and figure out which way works best for you. Nicely done! I would bold “You are going to want your cursor exactly where you want your image.” for me that is the highlight of this whole article. I often add media and can’t get it where I want it! Love the screen captures. Adds alot! Excellent article. You really will help people figure out how to align images in their posts. And Michael is right. 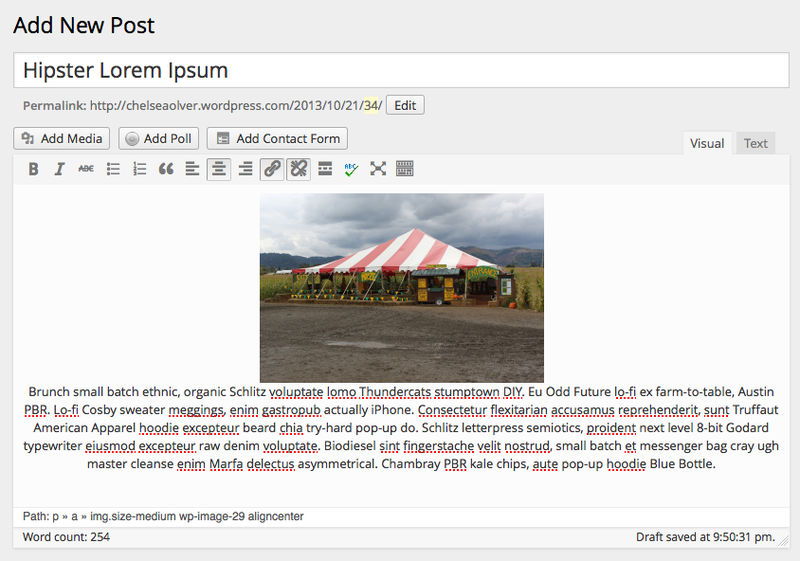 Working with the visual editor, it’s easy to lose track of where your images are going. 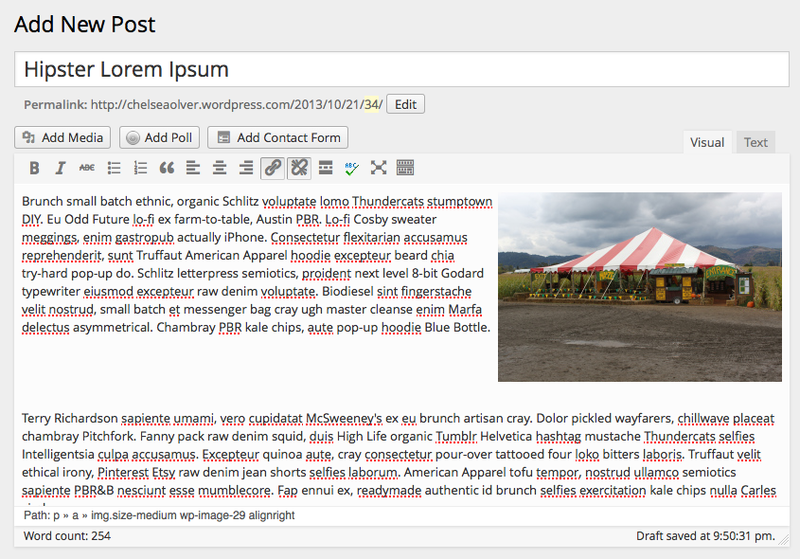 I’d love to see a little bit on quick editing of the alignment CSS in the Text Editor added to this.